[OFFICIAL] Organizers of Africa's premier thought leadership and innovation summit, PAQ Session, have launched a project called PaqSpark as they mark their 2nd Anniversary. PAQSpark is a coding literacy project aimed at making Africa’s generation Z have the requisite knowledge of coding in order to put Africa at an advantage. 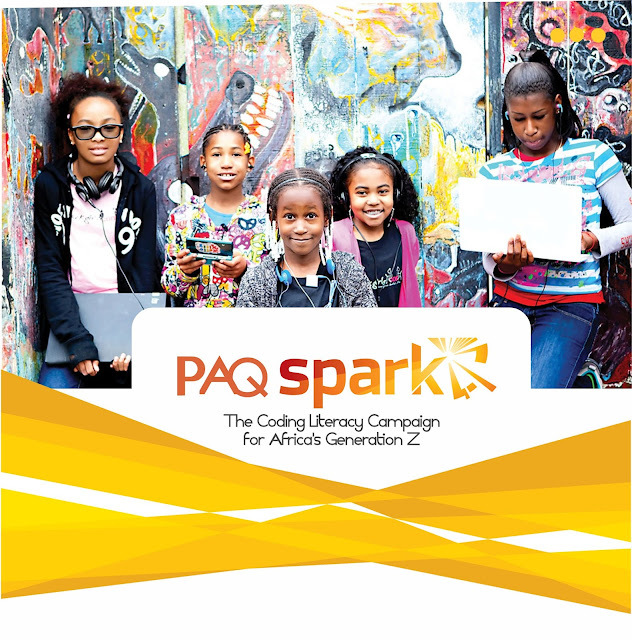 PAQSpark is a coding literacy project aimed at equipping Africa’s generation Z with requisite knowledge of coding. Being cognizant that many of these kids in Africa have no knowledge of coding and do not have access to tutorials in programming/coding, the Pan African Quintessential (PAQ) Network is launching this PAQSpark Campaign in order to put Africa at an advantage. “If you ask most kids today what careers they would want to practice when they grow up you’d find out that majority of them would say Engineering, Medicine, etc, just like the generation before them did. The reality is that most of these careers will either be enhanced by advances in technology or obliterated all together in their time. It is necessary that in as much as we will still have these professions, we still get to stir up the generation of Africans that will code the future of Africa and enhance or disrupt sectors already plied for disruptions”, a release from the network surmised. The PAQSpark campaign will run for the next 10 years with a focus on equipping 5 million kids with skills in coding and programing across Africa. PAQ Network encourages thought leadership and innovation in Africa and thus sees the PAQSpark project as a cradle for Africa's futuristic advancements. To get involved or partner with the project, send a mail to paqafrica@gmail.com. Individuals, coding training tutors/platforms, schools, companies, and organizations are invited to partner. b) Take photos of you and them during or after the brief session. You can also make a short video of your session with these kids. Ensure the photos or videos are saved in your phone. c) Upload the photos or videos to Facebook or Instagram with our hashtag - #PAQSpark – and your entry will qualify you to be considered as one of our PAQSpark ambassador. Ensure you like our page and follow us on Facebook and Instagram via @PAQSESSION. You can also mention @Paqsession in your post as well. You can help generate awareness about the campaign by posting the campaign publicity materials and using the link for the photo frame campaign when it is available to create a photo frame for your profiles. Like our Facebook page www.fb.com/paqsession and drop us a message for it. Our special ‘PAQ SPARK AFRICA CODE ADVANTAGE’ Teeshirts will be available from the 1st of May 2018. By purchasing it, you will help raise funds to teach less privileged school children how to code. The Tshirts will have two categrories, the ones that go for N3000 and the ones for N5000. To preorder one or more of the two options, text ‘PAQ SPARK AFRICA CODE ADVANTAGE TEESHIRT’ to 07063607101. If you have a coding Academy/can teach coding or would want to sponsor the awareness or coding trainings we will run, you can partner with us or support the project by sending a mail to paqafrica@gmail.com.